Photo by The unPixie via Flickr.com; some rights reserved. It would have to use sourdough or ciabatta bread, homemade garlic mayonnaise, prosciutto, smoked turkey, coarse-ground mustard, Swiss cheese, a really thin layer of something sweet (to balance out all the tangy), crisp lettuce, thinly sliced onion (the milder red or yellow preferred), and a smattering of other crunchy/chewy bits (sliced black olives, banana peppers, bean sprouts, even thinly sliced carrots or bell peppers). 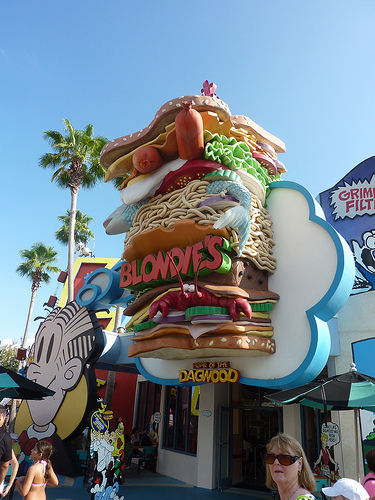 Then stand back, because I’ll be chowing down on that Dagwood!